Your home is your refuge from the world, and you want it to be as inviting and clean as possible. This means having the very best tools at your disposal to keep your flooring and the air in your home free of microbes and debris. To find these tools, you need to do two things- visit the a vacuum store and understand all of the features of the vacuums and air purifiers available, and once you purchase them, you need support to help you keep them running smoothly. Online at GoVacuum.com and in person at GoVacuum’s vacuum stores have always understood how important having a clean home is to our customers. Since we opened for business as a vacuum store in 1976 as Vacuums Unlimited of Northern Virginia, we have made it our mission to help our customers select the perfect vacuum to fit their needs and their budgets and to provide affordable vacuum repairs on all types of machines. This has always meant keeping up our knowledge of the latest innovations in vacuums, vacuums parts and vacuum accessories and taking the time to fully explain options to our customers. Our Success Came From You! Our vacuum store business has grown over the years due to customers throughout northern Virginia and the DC metro area telling their friends and family about us, and we’re proud of the number of customer referrals and repeat customers that we receive. The online portion of our business, GoVacuum.com has a 99.6% customer approval rating because of our commitment to customer service, and between our stores and our online shops, we have had the pleasure to serve more than 100,000 customers. With vacuum stores in Chantilly and Herndon, GoVacuum continues our tradition of providing the finest quality vacuums at great low prices. Our showrooms are home to returned items, refurbished vacuums and closeouts with marked down prices that are up to 90% below retail prices and up to half the price of the models in our online store. 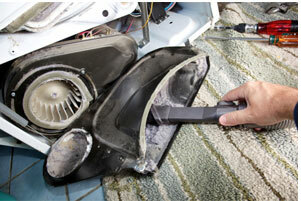 We also offer pickup service for any item found on at GoVacuum.com that is not available in our vacuum store showroom. Vacuum Broken? We Can Fix it! In addition to air purifiers and vacuums, GoVacuum Outlet stores in Chantilly and Herndon are full-service centers for vacuum repair services. 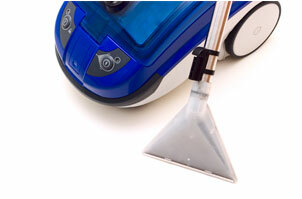 We also stock vacuum parts and accessories, including options from our ZVac generic line of vacuum bags and filters. Our locations in Chantilly and Herndon are easy to access from many locations in northern Virginia, Maryland and the greater DC metro area.